Registering for online dental hygiene degree programs will develop the advanced clinical skills required for improving patients' oral health. Online dental hygiene bachelor's degrees are primarily offered to licensed hygienists who've already received hands-on experience removing plaque and performing tests like x-rays. BSDH-level hygienists can step beyond teeth cleaning roles for teaching, research, and clinical administration. Now's an excellent time to attend online dental hygiene colleges because the Bureau of Labor Statistics predicts faster-than-average job growth–19 percent through the year 2024. Dental hygiene graduates will claim over 37,000 new positions in dentistry offices, outpatient clinics, schools, and public health departments. Since there are more than 300 CODA-accredited dental hygiene programs available, we'll help you choose the best for your buck. We began arranging the best dental hygiene programs online by using the College Navigator tool from the National Center for Education Statistics. Within the search feature, we selected public and private, nonprofit schools conferring bachelor's programs specifically in "Dental Support Services." The box for distance education was checked to eliminate on-campus degrees. Our initial search drew 22 results for online dental hygiene schools. Next, we narrowed down the list by comparing their recorded in-state undergraduate tuition for 2015-16. We kept the 15 with the lowest tuition price and ranked them by tuition in descending order. Endowed for $40.2 million, Ferris State University is Michigan's ninth-largest public, co-educational institution educating over 14,700 students in Big Rapids and online. The U.S. News recognized Ferris State for America's 76th best online bachelor's degrees. The CODA-accredited dental hygiene school offers a Bachelor of Science online for hygienists already holding an A.A.S. degree. 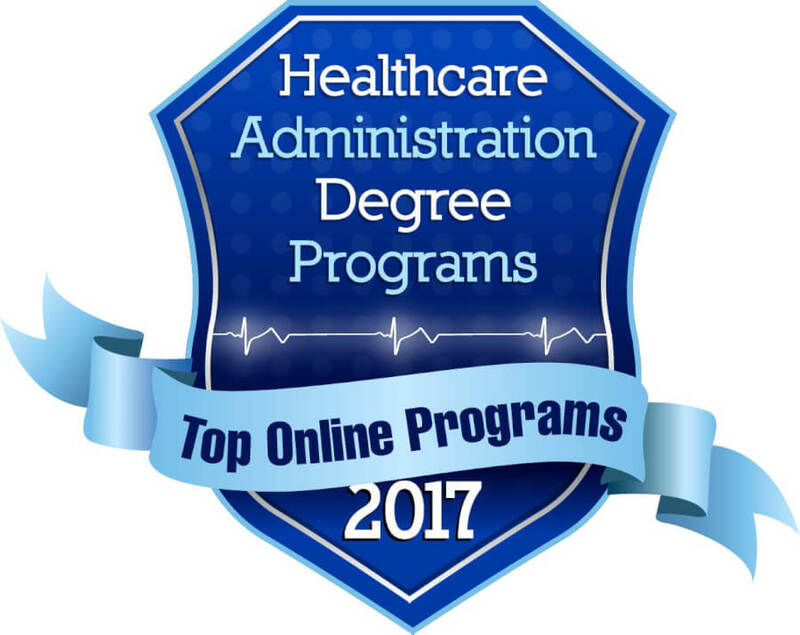 Within the two-year completion program, the College of Health Professions includes courses in health promotion, dental assessment, gerontology, public health, and more. Online curricula ends with clinical practicum in students' communities. Featuring 25 campuses from Flagstaff to Phoenix and beyond, Northern Arizona University is a public, research institution endowed for $136 million to serve over 30,350. According to the U.S. News, NAU confers the 226th best online undergraduate majors, including an online dental hygienist degree. The CODA-accredited Bachelor of Science accommodates licensed associate degree holders with 24/7 flexibility. The 64-unit, upper-division program instills critical decision-making skills for oral health management. NAU's Dental Hygiene Department earned the 2014 Provost Award for Excellence in Global Learning. As a top dental hygiene school, Ohio State University boasts America's third-largest campus in Columbus with regional centers and online study to engage over 101,200 Buckeyes total. OSU was named the 54th best national university and 16th top public school by the U.S. News. The College of Dentistry holds CODA accreditation for a flexible, online Bachelor of Science degree completion program. Licensed dental hygienists transfer up to 40 credits for the three-year, part-time curriculum. Online learning via Carmen can also lead to a Master of Dental Hygiene. Opened in 1930, Old Dominion University is a public, sea-grant RU/H institution in Norfolk, Virginia, that's produced over 13,600 online scholars with 96 percent satisfaction. The U.S. News crowned ODU the 210th best university with the 63rd top online bachelor's degrees. For $9,480, Old Dominion provides an online BSDH for experienced dental hygienists. The transfer-friendly program requires only 30 degree completion credits with an optional Physicians for Peace trip to Nicaragua. Guaranteed admission is extended to graduates from the Virginia Community College System. Enrolling an all-time record of 4,750 students in Klamath Falls and online, Oregon Institute of Technology is the Pacific Northwest's only public, polytechnic institution. According to the U.S. News, Oregon Tech is the West's third best regional university and top public college. Oregon's best dental hygiene school offers a 48-credit Bachelor of Science degree completion option. It's reserved for hygienists who've already completed the Dental Hygiene National Board Exam. A transfer partnership exists with Chemeketa Community College, another dental hygiene school. Belonging to the University System of Georgia, Augusta University is a public, health sciences institution with over 9,100 students studying in the United States' 116th-largest city and online. The USNWR placed Augusta as the 584th top global university with the 73rd best medical school nationwide. Adhering to CODA standards, the BSDH online degree completion program interweaves clinical science with liberal arts. Students transfer 60 core credits to begin online courses, such as case management, dental informatics, and periodontics. Based in Johnson City with off-campus learning in Kingsport, Elizabethton, and online, East Tennessee State University educates over 14,300 Buccaneers yearly. The Volunteer State's fourth-largest public school is ranked 281st nationwide by high school counselors in the USNWR survey. ETSU's eCampus provides a dental hygiene bachelor's degree 100 percent online after a one-day, face-to-face orientation. Licensed hygienists build on their experiential learning and associate-level education for advancement. Online courses include rural dental health, peridontal therapy, anesthesia, geriatric practice, and more. Established as Ouachita Parish Junior College in 1931, University of Louisiana Monroe is a public, co-educational institution in the Sun Belt that's educating over 8,800 Warhawks. The U.S. News applauds ULM for America's 203rd top online baccalaureate education, including one of the best dental hygiene programs. The AAS-to-BS curriculum spans 63 credits to further hygienists' leadership in preventative dental services. Online courses on Moodle explore biology, chemistry, behavioral science, and healthcare practice. Admission requires a minimum 2.5 GPA at accredited dental hygiene schools. With 95 percent acceptance, Wichita State University is a public, research institution endowed for $235 million that's educating over 14,400 Shockers in Kansas' largest city and online. WSU was named America's 196th best national university by high school counselors in the U.S. News survey. The RDH to BSDH is a dental hygiene degree online for licensed professionals to become educators. Offering in-state tuition for all, the 15-month, full-time program focuses on evidence-based practice in oral health without clinical practicum. Housing the Hospitality State's sole Level 1 trauma center, the University of Mississippi Medical Center is a public, 722-bed teaching hospital enrolling over 2,900 in Jackson and online. Ole Miss is ranked America's 135th top university and 64th best public college by the U.S. News. Among the best colleges for dental hygiene, UMCC offers an Online Advanced Standing bachelor's option. The five-semester, part-time program provides CODA-accredited training to licensed hygienists. Clinical skills are sharpened in courses like pharmacology, preventive health, family dentistry, and pathophysiology. Classified as the United States' largest state-supported, all-female school, Texas Woman's University educates over 15,100 Pioneers in Denton, Dallas, Houston, and online. According to the U.S. News, TWU is the 196th best national university picked by high school counselors. With a 19:1 student-faculty ratio, the RN to BSDH allows licensed hygienists to transfer up to 90 credits for accelerated, CODA-accredited training. It's one of the online dental hygiene schools requiring field practicum for 45 clock hours. There's also the Bette Andrews Dental Hygiene Scholarship available. Operated by the Georgia Board of Regents, Clayton State University is a public, co-educational institution selectively admitting over 7,100 Lakers in Morrow, Jonesboro, McDonough, and online. According to Niche, Clayton State is America's 185th most conservative college and 359th top public university. Meeting CODA guidelines, the RDH Completion confers a B.S. to hygienists seeking alternative practice careers. Available 100 percent online, the bachelor's spans three semesters with a capstone internship. 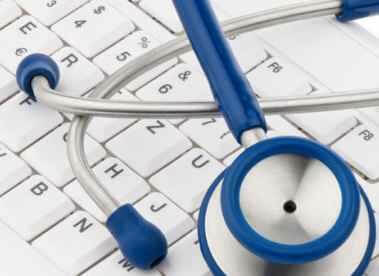 Online students could also add a Double Major in Health Care Management. Endowed for $211 million, the University of Texas Health Science Center stands in San Antonio as a public, health research institution with over 3,050 students in South Texas and online. The U.S. News crowned UTHSCSA the country's 60th best medical school. Recognized by CODA, the online dental hygiene degree is self-tailored for B.S. completion. Licensed hygienists with a minimum 2.5 GPA elevate their career with courses like clinical administration and public health policy. Each Spring, clinical practicum is scheduled across Texas too. With enrollment surpassing 65,000, St. Petersburg College is a public, four-year state institution holding SACS accreditation for teaching on 11 Florida campuses and online. According to Niche, St. Petersburg is America's 105th best online college and Florida's 52nd top university overall. The College of Health Sciences is one of the cheapest online dental hygiene schools charging $3,352 yearly. For 24 months full-time, cohorts of licensed hygienists pursue the B.A.S. for administration or education careers. Online, 14-week courses aren't accessible in Massachusetts, Minnesota, or Nevada though. Ranked #1 for affordable online dental hygiene programs at $2,805, the College of Southern Nevada is the Silver State's largest public, multi-campus institution serving over 44,000 in Las Vegas and online. Niche distinguished CSN as America's 145th best online college and Nevada's sixth most diverse school. The 120-credit B.S. Dental Hygiene allows licensed hygienists to transfer 89 credits of previous work. Online students expand their health education career with courses like teaching methods, educational psychology, and group dynamics. There's also a Public Health Specialist track. The U.S. News placed dental hygiene as the United States' #3 best healthcare support job with a low unemployment rate of 1.2 percent and above-average median salary of $72,330. Even though only an associate degree is required, studying further for a BSDH online can maximize licensed hygienists' salary potential. With annual in-state tuition below $11,000, these 15 affordable online dental hygiene degree programs also save precious dollars on housing, commuting, and childcare costs by limiting campus requirements.